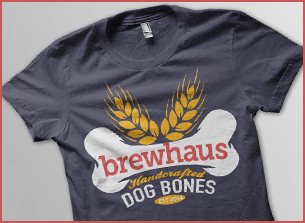 A t-shirt with “Brewhaus Dog Bones” emblazoned across the front. 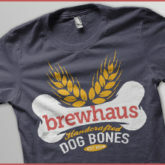 A t-shirt with “Brewhaus Dog Bones” emblazoned across the front.Display your support and promote Brewhaus Dog Bones by buying one of our t-shirts! 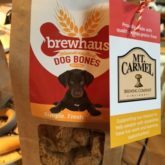 Brewhaus Dog Bones is a non-profit organization creating handcrafted, small batch, oven baked dog treats made from whole grains proudly sourced from local Cincinnati microbreweries.